Although the information we have set out on this website about bracken and spraying presents what we believe to be a solid argument for the absolute necessity of helicopter bracken control work as well as its strong safety case (both practical and environmental), the EU initiated steps to bring about both a ban on aerial spraying within member states (including the UK of course) and also removed many of the older agro-chemicals from the approved list (Annex 1). This of course meant they could no longer be deployed within the EU membership and sadly, Asulox was one of those excluded. Fortunately, our government appreciated the vital importance of bracken control in the UK and that Asulox was the only agro-chemical fully suitable for such a task and was able to invoke the Emergency Authorisation procedure. This allows for provision in certain circumstances of an Authorisation for the use of agro-chemicals not on the approved list for a specific period of time within a particular year. However, 1) there is no guarantee the Authorisation will be granted in the following year, and 2) the EU Pesticide Committee are already calling into question continuance of this facility. Nevertheless, it is to be hoped that the annual Authorisation procedure may remain available to Asulox for bracken control until such time as the manufacturer is able to complete their case (currently being worked on) for the reinstatement of Asulox onto the Approved List. They hope to be in a position to submit this to the EU by 2018. The aerial application industry in turn is hoping the data submitted will meet EU requirements this time around and Approval will be granted; there is, of course, no guarantee of this, we can only hope that reasonable and science based argument prevails! Unfortunately, this uncertainty makes future planning for our business almost impossible, and the wisdom of further investment highly questionable! 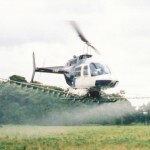 Regarding the aerial spraying ban, our government was “well up to speed” on this, (since we first heard of the proposal by the EU back in 2006 we had ensured that both Westminster and Defra were brought fully into the bracken problem “picture”), and were taking steps to mitigate the results of this. In April 2010 the newly created Chemicals Regulation Directorate (CRD), part of the Health and Safety Executive, set out a consultation document on behalf of DEFRA, on options for implementing the EU Sustainable Use Directive which had come into force in November 2009. 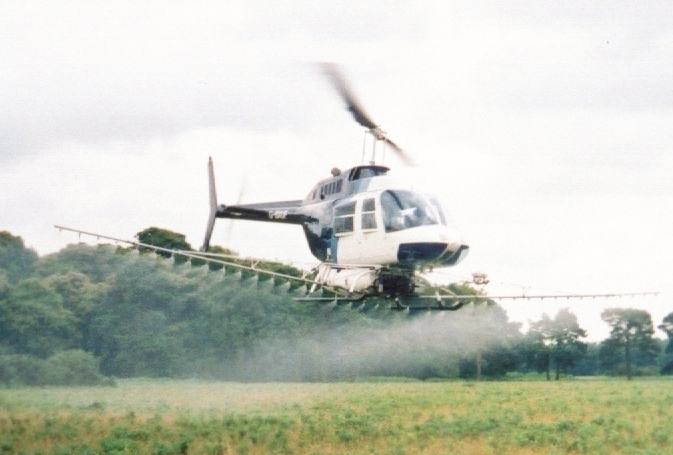 Provision was included to allow for a derogation against the aerial spraying ban. Realising that the aerial application of Asulox was the only “tool in the box” that was capable of dealing with a problem of this magnitude, the Chemicals Regulation Directorate took a reasonable and pragmatic approach in setting out the terms of this derogation. With further input from ourselves and others within our industry a workable format for the derogation was put together. The essence of this was that subject to certain conditions being met for each and every bracken job a Permit would be issued by CRD allowing that particular operation to be carried out. The legislation for this, The Plant Protection Products (Sustainable Use) Regulations was in place in time for the 2012 bracken control season. From that point on, no bracken control work may be carried out by means of the aerial application of Asulox unless that Permit was in place for that particular job. The terms of the Derogation and the requirements of the Permit Application procedure are, at present, reasonably workable. Providing nothing changes, our Industry will be able to continue to play its part in helping to preserve the moorland, heathland and general upland pasture of the UK from the very substantial losses which would otherwise occur due to bracken incursion.